Build your dream home with your choice of land, in a master planned estate. Build your dream home in an established community. Search our list of extensive house and land packages. 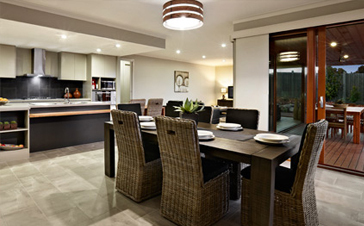 At Springridge, you can choose from a range of generous-sized blocks to suit you and your new home. One of the real attractions of moving to Wallan is the first class infrastructure already in place. If you’ve ever dreamt of an idyllic lifestyle in the beautiful Victorian countryside, moving to Springridge in Wallan could be the best move you ever make. This brilliant master planned community offers an escape to the peace and space of a genuine country lifestyle. Springridge offers the freedom to create a stylish new home in a picturesque setting of glorious parklands and waterways, with breathtaking views across 38 hectares of Wallan’s beautifully undulating countryside. 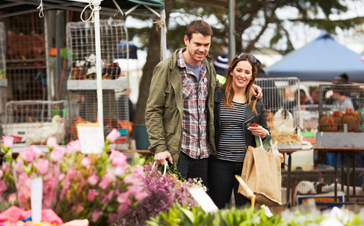 An easy drive north of Melbourne, it’s your chance to get away from it all but still stay connected. You could be part of a neighbourhood that’s created around the enjoyment of outdoor space, with landscaped reserves, a meandering creek, wetlands and a myriad of walking trails. This is the time to swap your dreams for the real thing at Springridge.